With the infrastructure world in constant flux, more and more businesses are adopting a multi-cloud deployment model. The challenges from this are becoming more complex and, in some cases, cumbersome. Consider the impact on the data alone. 10 years ago, all anyone worried about was if the SAN would stay up, and if it didn’t, would their data be protected. Fast forward to today, even a small business can have data scattered across the globe. Maybe they have a few vSphere hosts in an HQ, with branch offices using workloads running in the cloud or Software as a Service-based applications. Maybe backups are stored in an object storage repository (somewhere — but only one guy knows where). This is happening in the smallest of businesses, so as a business grows and scales, the challenges become even more complex. Veeam supports a number of public clouds and different platforms. This is a typical scenario in a modern business. Picture the scene: workloads are running on top of a hypervisor like VMware vSphere or Nutanix, with some services running in AWS. The company is leveraging Microsoft Office 365 for its email services (people rarely build Exchange environments anymore) with Active Directory extended into Azure. Throw in some SAP or Oracle workloads, and your data management solution has just gone from “I back up my SAN every night to tape” to “where is my data now, and how do I restore it in the event of a failure?” If worrying about business continuity didn’t keep you awake 10 years ago, it surely does now. This is the impact of modern life. The more agility we provide on the front end for an IT consumer, the more complexity there has to be on the back end. With the ever-growing complexity, global reach and scale of public clouds, as well as a more hands-off approach from IT admins, this is a real challenge to protect a business, not only from an outage, but from a full-scale business failure. When looking to manage a multi-cloud environment, it is important to understand these complexities, and how to avoid costly mistakes. The simplistic approach to any environment, whether it is running on premises or in the cloud, is to consider all the options. Sounds obvious, but that has not always been the case. Where or how you deploy a workload is becoming irrelevant, but how you protect that workload still is. Think about the public cloud: if you deploy a virtual machine, and set the firewall ports to any:any, (that would never happen would it? ), you can be pretty sure someone will gain access to that virtual machine at some point. Making sure that workload is protected and recoverable is critical in this instance. The same considerations and requirements always apply whether running on premises or off premises. How do you protect the data and how do you recover the data in the event of a failure or security breach? What to consider when choosing a cloud platform? This is something often overlooked, but it has become clear in recent years that organizations do not choose a cloud platform for single, specific reasons like cost savings, higher performance and quicker service times, but rather because the cloud is the right platform for a specific application. Sure, individual reason benefits may come into play, but you should always question the “why” on any platform selection. When you’re looking at data management platforms, consider not only what your environment looks like today, but also what will it look like tomorrow. Does the platform you’re purchasing today have a roadmap for the future? If you can see that the company has a clear vision and understanding of what is happening in the industry, then you can feel safe trusting that platform to manage your data anywhere in the world, on any platform. If a roadmap is not forthcoming, or they just don’t get the vision you are sharing about your own environment, perhaps it’s time to look at other vendors. It’s definitely something to think about next time you’re choosing a data management solution or platform. Guest Author: Matt Morris – Matt Morris is a Partner Technical Strategist & Cloud Business guru in the One Commercial Partner group, where he leads technical sales readiness, and strategy for one of Microsoft’s largest distribution partners. Prior to his current role, Matt worked in enterprise technology sales, software development, and solution architecture roles at Microsoft and other technology firms. He has experience with mid-market and large enterprise organizations across a variety of industries as well as the public sector. He helps customers understand and implement high innovation and transformational technology solutions in the areas of analytics, cloud computing, and developer tools and platforms. According to IDC, by 2020 IT cloud services revenue will exceed $500 billion. As a part of Microsoft’s One Commercial Partner organization, I know firsthand both the tremendous opportunity cloud computing presents our partners and the complexity that opportunity can pose. So, as you prepare to join us at IT Nation, I want to share a series of cross-industry partner resources that will help you evaluate the benefits and risks of cloud computing, and provide best practices to help you successfully transform your business to capture the largest possible share of those dollars. Nearly 80% of customers are deploying or fully embracing cloud technology today, according to IDC. It’s clear many clients are hungry for the cost-savings and flexibility the cloud can provide, but finding the right pace and model for cloud adoption is challenging for many partners. In The Booming Cloud Opportunity, IDC analyzes the scope of the opportunity and how you can take advantage. How do I grow my business with the cloud? No one knows your clients like you do. Your hard-earned expertise solving clients’ challenges is the perfect foundation for a cloud-based practice. You know the solutions your clients want, without compromising their security or increasing long-term costs. More importantly, your clients chose you for a reason. Whether you’ve mastered a particular technology, specific vertical, or business process – your unique expertise can be scaled with cloud solutions to make you more profitable. Whether you’re looking to start gently with an SaaS solutions like Office 365™, or to dive into IaaS or PaaS with Azure™, evaluate your revenue potential with your Office 365 Revenue Modeling Tool or check out the eBook, Differentiate to Stand Out. Will I need to change my sales & marketing for cloud solutions? The next challenge is communicating the unique value you offer, particularly when 65% of B2B purchase decisions are made before ever engaging sales. The Modernizing Sales and Marketing Guide distills the best practices other successful partners have implemented. From developing a listening culture and understanding the customer journey, to building the right marketing assets to communicate how you solve customers’ real business challenges, this guide will help you grow your practice. Am I ready to expand my practice into the cloud? Changing your business model seems risky, even when you know that it’s critical to long-term success. So, before deciding to wait a little longer, see what it would take to get started. Some cloud services, like Office 365, can be implemented quickly and painlessly. If you have cautious clients, expanding into a hybrid blend of on-premise and cloud solutions might fit. The key is to create a strategy that allows you to leverage easily deployed cloud components to drive services revenue today, while developing your own specialized solutions to turn your unique expertise into a repeatable product over time. Get started with Optimizing your Operations. However you choose to implement cloud services, my goal is to help you strengthen both your bottom line and your relationship with your customers. Long-term profitability is the result of helping your customers achieve their goals, growing revenue while reducing churn. Our last resource, Delivering Customer Lifetime Value closes the loop. This article was provided by our service partner Microsoft. We are living in times when it’s hard to imagine our lives without technology. Our center of command is sitting in our pockets, and we are just a few taps away from booking a flight, checking our bank account or reading the news about our favorite football team. Our fast pace of life demands uninterrupted access to each application on any type of device from everywhere. 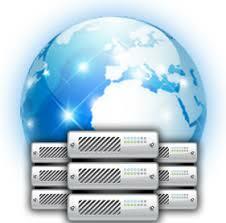 Therefore, organizations need not only speed and versatility, they also need what we call Availability. In a recent study, Forrester states that the hybrid cloud will open unlimited possibilities for enterprises around the globe to enrich their offerings through a customer-centric approach. The cloud storage deployments are evolving from simple storage silos and low-cost archiving to covering more complex use cases like global namespaces and policy-based migration. If you thought cloud was already popular, just give it a bit more time. Hybrid cloud storage is now able to combine on-premises applications with cloud-based services, and this is only going to bring a whole lot more benefits for organizations:business agility, scalability and improved data sharing. Just think about it: a few years ago, cloud was more of a personal tool, mainly used to store documents and other files, but look at where it is today! The hybrid cloud technologies now support remote office/branch office operations (ROBO), Disaster Recovery as a Service (DRaaS), the internet of things, file sync and share, and pretty much anything related to business technology. While many organizations are migrating from expensive conventional storage systems to cloud-based systems — and this is the natural step of the IT evolution — it’s important to acknowledge that the cloud is not all milk and honey. There are a few considerations that you might need to deal with: security, regulatory compliance or long-distance data migration. However, the overall value of adopting the cloud is immeasurable, and its full-scale adoption is already happening. Veeam enables modern organizations to deliver seamless digital life experiences to their customers through the Veeam Availability Platform, which integrates virtual, physical and cloud-based workloads. Embracing a hybrid cloud architecture opens new possibilities for both our customers and service provider partners looking to leverage the rapidly-evolving cloud computing best practices and adopting the next generation of Availability for the Always-On Enterprise. The same report claims that “Cloud forces a new architectural approach to everything.” Of course, adopting a hybrid cloud architecture requires a new mindset, but the cloud will play a major role in our digital future, that’s for sure. To find out more about the hybrid cloud and its benefits, I recommend you read the Hybrid Cloud is the Foundation for Storage Agility and Economics full report by Forrester. This article was provided by our service partner Veeam. Looking to make the move into the cloud can be a bit of daunting process, with so many options available. One of the first decisions to make is choosing whether you want to opt for public cloud provider or choose a private cloud Private Hosting Services solution. With decades of experience within the IT sector, dealing with a range of business clients, we have highlighted security, flexibility and control as the key values to our clients and wanted to ensure all of our cloud services were done so through a highly secure private cloud platform. We have jotted down 5 top reasons for choosing a private cloud model for your business, to help guide you on your way. Without a doubt, the number one reason to opt for Private Hosting Services is the knowledge that you know, not only, where your data is located but exactly who can access it. Whilst there are certainly a number security controls in place on a good public cloud platform, you will never have the sense control and security that you achieve through a private cloud solution. Security is especially important for businesses who may hold sensitive documents on their servers such as highly personal customer information or private financial data. Businesses have a responsibility to ensure their data is kept safe and secure at all times, making a private cloud provider the go to platform for rest assured data security. Closely linked to security and privacy, specific data location is another important difference between private and public cloud providers. You cannot be 100% sure where your data is being stored on a public cloud, with many providers holding your data abroad, and often even unable to specify the exact location of your files at any given time. With a private cloud infrastructure, you will always know the precise location of your data. At NetCal all your data is held on state of the art, enterprise level equipment in temperature controlled environments in a distinct number of data centres, known to you at any given time. Another clear advantage for Private Hosting Services is the ability to have dedicated applications and a dedicated server which runs its own operating system for your business. This ensures you do not have to share processing power with other company applications, resulting in a more stable predictable performance which is optimised for your business requirements. If you want to ensure you have complete control over your hardware and your virtual servers, a private cloud is the clearly favourable option. In addition, private cloud also allows much more control over Service Level Agreement (SLA) management. Public cloud platforms can only give you control over certain features of your operating system, applications and server, and a public cloud provider controls the SLAs with all clients. 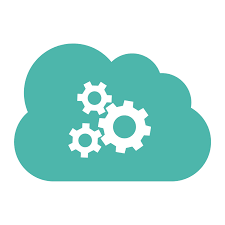 Another advantage of a private cloud solution is complete control over your own failover plan, which is put in place to ensure that there is no risk of your cloud service becoming unavailable to users. An enterprise level private cloud service is built from the bottom up and tailored for your individual requirements. This means that, you as a client are able to specify what you need (both technical capabilities and SLAs) and only ever need to take up the processing power that you require. In summary Private cloud is highly compliant and highly flexible, providing you with complete control over your hardware, virtual servers, SLAs and failover plans, whilst ensuring you are operating at your optimum performance. If you are considering migrating to a cloud solution, or want to better understand the benefits of opting for a private cloud provider, get in touch with one of the friendly and experienced members of our team and we can get you up and started in no time. Even though the future of IT belongs to the cloud, much of the enterprise world is still clinging to legacy systems. In fact, 90 percent of workloads today are completed outside of the public cloud. With this continued resistance to cloud services adoption at the enterprise level, today’s “cloud evangelists” are playing a more important role in the industry than ever before. The role of a cloud evangelist sits somewhere between the duties of a product marketer and the company’s direct link to customers. These individuals are responsible for spreading the doctrine of cloud computing and convincing reluctant IT admins to make the jump to the cloud. It’s a dynamic role and nowhere is this more apparent than with the talented cloud evangelists at NTT Communications. In a recent interview from NTT Communications, two of the company’s leading cloud evangelists, Masayuki Hayashi and Waturu Katsurashima, sat down to chat about the current challenges slowing enterprise cloud migration and what companies can do to help mitigate those challenges. In this post, we take a look at the five areas that are top-of-mind for cloud evangelists today. While the role itself may be new, it is not insulated from change. When it was first established, cloud evangelists were responsible for ferrying customers through every stage of cloud adoption. From preliminary fact finding to architecting the final network, cloud evangelists played a prominent role. Today, that hands-on approach is quickly changing. As Hayashi states in the article, “Evangelists have traditionally played the “forward” position, but recently we are more like “midfielders” who focus on passing the ball to others.” Rather than managing every task involved, evangelists are placing more focus on improving processes and strengthening organizational knowledge. The number of enterprises migrating on-premise datacenters to the cloud has been less than stellar in recent years. Cloud services migrations have remained relatively flat year-over-year largely due to the complexities surrounding migration. Enterprises are having difficulty simultaneously managing both their existing infrastructure and bringing new cloud-based services online. For evangelists, it’s important to consider this added complexity when proposing a migration plan. 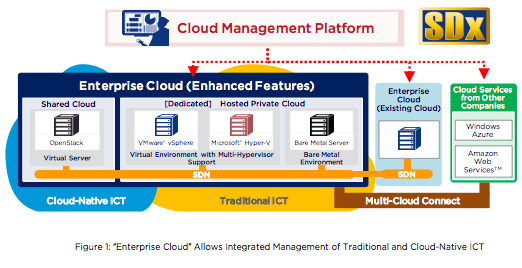 NTT Communications Chief Evangelist Wataru Katsurashima recommends finding specific solutions that can accommodate the unique needs of enterprise cloud migration such as hybrid cloud infrastructures that function like a single, public cloud environment. The added complexity of enterprise cloud migration also directly affects the price of migration, increasing it beyond reach of some companies. The expensive price tag is forcing many enterprises to rethink their decision to migrate to the cloud, opting instead to delay the migration another year or executing a much slower, gradual migration. One discussed solution to this high cost is using existing services within the VMware vCloud® Air™ Network. According to Katsurashima, leveraging technology from NTT communications and VMware in a synergistic way can dramatically cut down costs through efficiencies and better utilization. The hotel analogy provides us with a way to visualize the new features and capabilities that hybrid cloud environments must deliver. Since no one cloud service provider can be everything, establishing greater levels of collaboration and cross-pollination between service providers is critical to success. The days of information system departments only responding to the demands of individual business departments are over. The IT teams that do not help business departments innovate from the inside-out will become increasingly obsolete. Why are Healthcare organizations across the country using Cisco Umbrella? Healthcare IT professionals need to overcome a mounting list of security challenges: unmanaged consumer endpoints, ever-changing regulatory landscape, uptick in smart medical devices and an increased use of Wi-Fi networks in hospitals and healthcare facilities. Cloud-delivered security provides faster deployment with an open, automated way to reduce risk, simplify management and control costs. Healthcare industry expenditures on cloud computing will experience a compound annual growth rate of more than 20% by 2020. The industry has quickly transitioned from being hesitant about the cloud to embracing the technology for its overwhelming benefits. George Washington University, a world-renowned research university, turned to Cisco Umbrella to protect its most important asset: the global reputation as a research leader. “We chose Cisco Umbrella because it offered a really high level of protection for our various different user bases, with a really low level of interaction required to implement the solution, so we could start blocking attacks and begin saving IR analyst time immediately,” said Mike Glyer, Director, Enterprise Security & Architecture. Customers love Umbrella because it is a cloud-delivered platform that protects users both on and off the network. It stops threats over all ports and protocols for the most comprehensive coverage. Plus, Umbrella’s powerful, effective security does not require the typical operational complexity. By performing everything in the cloud, there is no hardware to install, and no software to manually update. The service is a scalable solution for large healthcare organizations with multiple locations, like The University of Kansas Hospital, ranked among the nation’s best hospitals every year since 2007 by U.S. News & World Report. Like many healthcare providers, The University of Kansas Hospital would spend a lot time combing through gigabytes of logs trying to trace infections, point of origin and identify which machines were calling out. The team turned to Cisco Umbrella for help. This overwhelming success led the team to later purchase Umbrella Investigate. Crowd Research Partners yesterday (28th March 2017) released the results of its 2017 Cloud Security Report revealing that security concerns, lack of qualified security staff and outdated security tools remain the top issues keeping cyber security professionals up at night, while data breaches are at an all-time high. Based on a comprehensive online survey of over 1,900 cyber security professionals in the 350,000-member Information Security Community on LinkedIn, the report has been produced in conjunction with leading cloud security vendors AlienVault, Bitglass, CloudPassage, Cloudvisory, Dome9 Security, Eastwind Networks, Evident.io, (ISC)2, Quest, Skyhigh, and Tenable. Cloud security concerns top the list of barriers to faster cloud adoption. Concerns include protection against data loss (57 percent), threats to data privacy (49 percent), and breaches of confidentiality (47 percent). Lack of qualified security staff is the second biggest barrier to cloud adoption, and more than half of organizations (53 percent) are looking to train and certify their current IT staff to address the shortage, followed by partnering with a managed service provider (MSP) (30 percent), leveraging software solutions (27 percent), and hiring dedicated staff (26 percent). As more workloads move to the cloud, organizations are realizing that traditional security tools are not designed for the unique challenges cloud adoption presents (78 percent). Instead, strong security management and control solutions designed specifically for the cloud are required to protect the new, agile paradigm. Visibility into cloud infrastructure is the single biggest security management headache for 37 percent of respondents, moving up to the top spot from being the second ranking operational concern in the previous year. Download the complete 2017 Cloud Security Report here.